The concept of disruption has been given regal status across businesses, startups, and tech circles in recent years. With such great emphasis placed on change, user experiences are inevitably facing evolution as well. Application programming interfaces or APIs have great transformative powers to disrupt business, but are they also altering the way we think? In a word: Yes. The API is actually the driving force behind most of the digital disruption in the consumer space happening right now — cloud-based infrastructure, mobile apps, Facebook logins, online shopping and viewing — it’s just that most laymen don’t realize it. Indeed, APIs are surreptitiously increasing connectivity and enabling unprecedented services, disrupting the way we interact with the world. In this piece, we endeavor to talk about how APIs are not only disrupting most if not all traditional business models, but are changing basic assumptions of how we interact with the world… and just how developers can adapt to join in on the world-changing fun. There’s a fine line between disruption and destruction, especially depending on which side of the tech you are. Cofounder of Nordic APIs and the Dopter open data and API consulting firm Andreas Krohn kicked off day two of the Nordic APIs conference in Stockholm talking about how APIs are disrupting even the previously analog world. Krohn offered countless business models disrupted — or perhaps destroyed? — due to the rising supremacy of APIs. And we all know what happened to Blockbuster, which a decade ago boasted 9,000 stores and 60,000 employees. “They were seen as the dominant player, you could never move these guys,” Krohn said. Now Blockbuster is a distant memory, pushed into the shadows by Netflix, who are now responsible for more than 34 percent of all Internet traffic during peak U.S. usage time. Netflix’s enormous takeover was made possible largely by their internal API, which handles over two billion requests a day. This internal Java API enables Netflix to rapidly churn out new apps to expand to new platforms — smartphones, X-box, smart TVs, and many other devices— dramatically cutting development time as only small components are necessary for each device. Through its use of APIs, Netflix has disrupted the entire television industry. While open and public APIs are the wave of the future, Netflix is an example of the immense value that’s generated from an internal API, even when used simply between departments. Of course, when you mention interdepartmental APIs, Amazon’s “eat your own API” naturally comes to mind. For years Amazon has required that all data-based communication between departments be done via API, naturally positioning Amazon to lead disruption in a world where APIs are becoming more and more ubiquitous. Amazon’s disruption began with the decimation of brick-and-mortar bookstores — shutting the doors of Barnes&Nobles and Borders— but they didn’t stop there. They found a potentially larger market in going after technical pioneers IBM, HP, and Dell — some of the world’s largest creators of hardware servers. Amazon today provides the same services as this hardware did, but via APIs. If you want a new server today, don’t go out and buy one. You can create one very quickly online and run it on Amazon’s clouds. The value of Amazon Web Services is now $50 billion, giving obvious credence to finding your core value. Mark O’Neill, VP of Innovation at Axway, sees the case of Dun and Bradstreet (D&B) as another superb example of APIs disrupting traditional business. A long established credit approval company — in fact, Abraham Lincoln worked for them — D&B has innovated with their API, enabling D&B lookups to be performed from within third-party apps, or within SaaS services such as SalesForce.com. O’Neill, an expert on API management and a proponent of API-first strategies, also cites First Utility as having destructive potential to alter the electric utility industry within the UK. They help users easily switch utility providers, aided by an API that enables customers to receive quotes and sign up for their service. Social networking theorist Brian Solis once wrote that “technology evolves faster than our ability to adapt.” But while us humans are inherently resistant to change, we are adapting faster and faster to technological trends. Krohn compared the number of decades it took society to adapt to the telephone to the number of years it’s taken to adopt smartphones as a way of life. Within this escalating landscape, “APIs make it quite possible for us to adapt to new requirements,” Krohn said. This disruption, happening quicker and quicker, is often created by two components: the technological advantage of a new player, or the advantage of a disruptive business model. But, getting to that core, how exactly do APIs disrupt? There’s no doubt that consumers are dramatically more technologically demanding, and it’s all the API’s fault for changing our assumptions, whether we realize it or not. How Exactly Are APIs Disruptive? Speed to market: You want to do it now. APIs facilitate consumer expectations for rapid fulfillment. Leverage: With APIs, a small startup can do as much as a large company, and sometimes even more. Silos are Ripped Down: Data is mixed and remixed everywhere. Productize & Profit From Your Core: Businesses can deliver their core assets or services far more easily. The API is a portal, but data delivery is really at your core. One could argue that all of the important tech trends outlined in Gartner’s 2014 research, (except for perhaps 3D printing) come with an API backbone. Without APIs, more than “half of the major technological trends could not be possible. That is important. That tells you something,” Krohn said. If you expect to efficiently access information from anywhere and to share data easily without the capital expense costs, you have to reach for the sky — and APIs are the stairway to the cloud. APIs are everywhere, whether or not people know or expect it. As technology advances, we demand a seamlessly integrated experience from one device, app, or function to the next. While the average consumer is accustomed to having technology run in the background, they are happily ignorant to the API architecture that’s behind it all. Facebook uses APIs to market their content and their presence because Facebook wants to own their user’s online identity. To own identity online means you must have the ability to be omnipresent, and APIs can facilitate that. Forbes has dubbed APIs as the “digital glue” that’s holding our personal and professional worlds together. But while the average consumer may be blind to this adhesion, certainly the business world is taking notice. In fact, Gartner says that last year about three-quarters of Fortune–1000 companies were using public APIs to grow their business. Now that big business is finally recognizing the true value in the API economy, it’s time for developers to grab a piece of that pie. Krohn offers tricks to help developers and API practitioners end up on the winner’s side of API disruption — and not left behind on the side of destruction. Educate the Masses: “It’s important that this is not an IT issue. Marketing needs to know about this. CEOs need to know about this. Sales need to know about this. What’s an API and how can it impact us?” If an API product is IT only, it’s bound to fail because without these cross-organizational connections, budgets won’t be approved and in-house developers will move on to other things. Talk about APIs: As part of an agile, continual improvement process, consistently talk to the people using the data. Spread your enthusiasm! Use APIs: Of course, eat your own dog food, but experiment with other APIs that could add benefit to your organization. 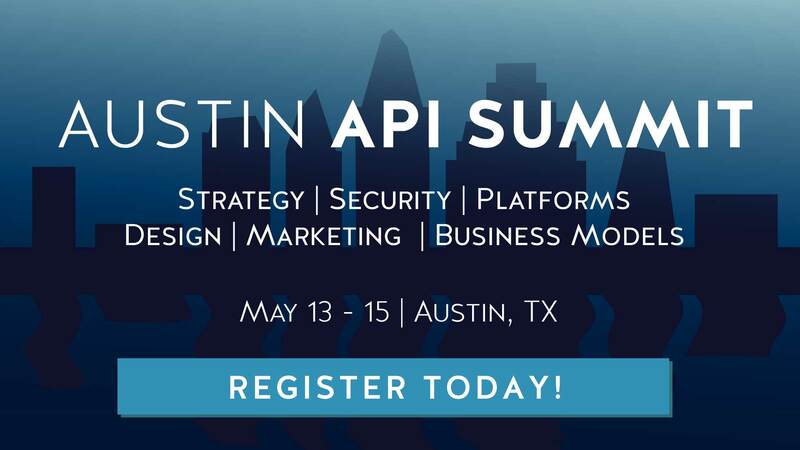 This helps you stay up to date, scope the competition, and realize the holes in the API ecosystem that perhaps you could fill. Experiment & Play: Host internal hackathons and exploration days that encourage open innovation to combine internal data processes with external ones. “It’s useful and it’s fun too. And it’s a good way to get different parts of an organization to talk to each other,” said Krohn. APIs are the digital glue holding our world together. They are pulling together our technological world and now they’re removing barriers within the business world, enabling partnerships that were never possible before. Developers now have an infinite amount of power in deciding if they will be disrupted or lead the disruption. Look at what you really do. Examine the business model and infrastructure at your core. Are there valuable and extendable use cases for your data or services? Explore them. Be an API evangelist to the masses. APIs are still rather an unknown concept. It’s our job to teach the business value proposition. Focus on your specific industry and study the API landscape. What holes could your business fill within the API economy?